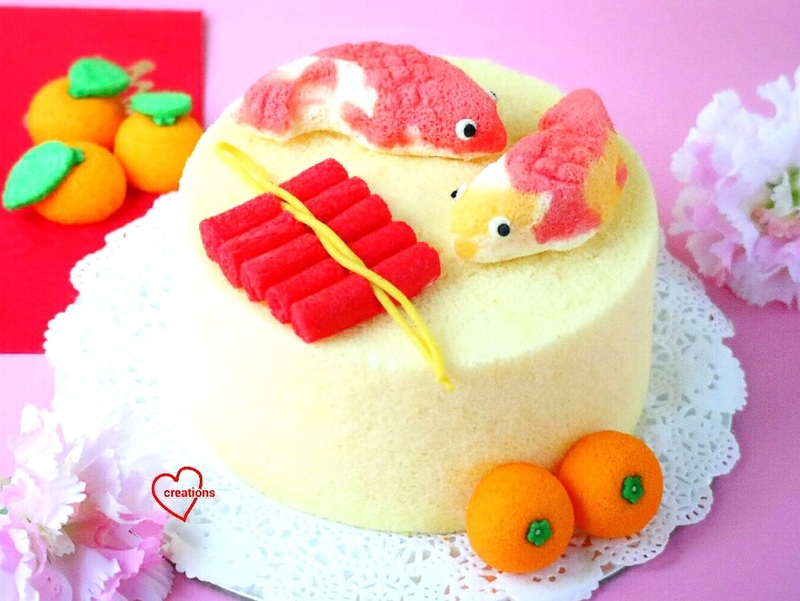 We’ve heard about ‘Koi’ agar agar, how about ‘Koi’ chiffon cake? The firecrackers are also made from chiffon cake swissrolls! 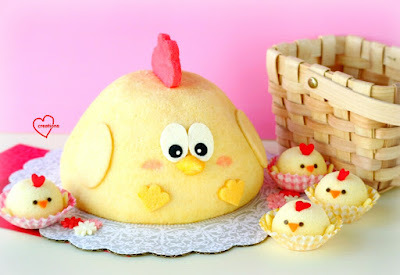 I originally had the inspiration to make these last year and designed them for Deco Chiffon cakes (my 2nd chiffon cookbook), but they taken out last minute in favor of the Baby rooster chiffon cake as this is the year of the Rooster =). Nevertheless, I’m thankful I got to try these out when a friend gave me the opportunity to bake these for her this CNY. The flavour requested was Yuzu chiffon cake, one of my favorites! This round, I had increased the yuzu marmalade used for stronger flavour. 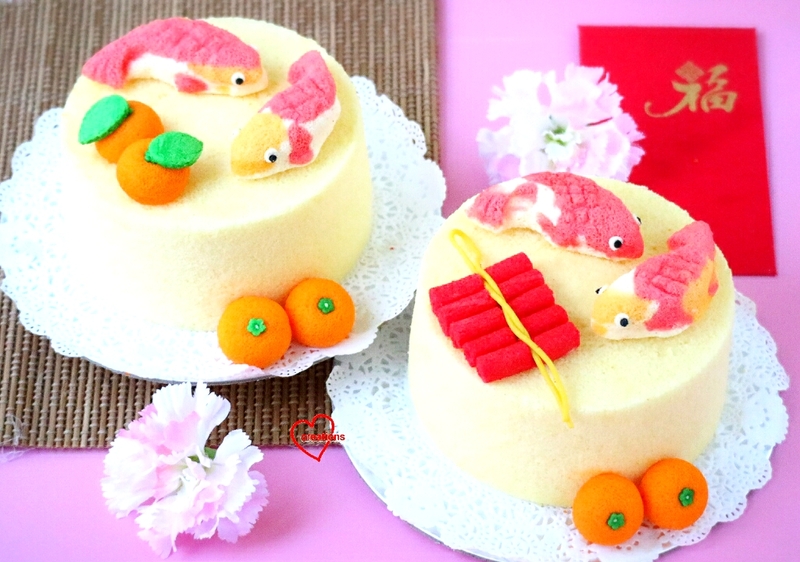 The same Yuzu chiffon cake recipe is used for both the Koi fishes, as well as 6-inch Yuzu chiffon cake base. Something different for a change, lovely Koi fishes made from yummy Yuzu chiffon cake! 1. Make yuzu tea by stirring in 1 ¼ tbsp of yuzu marmalade in 38g hot water. Filter the tea to remove the bits. 2. Preheat oven to 150°C. 3. Beat egg yolks with sugar with whisk till pale yellow before stirring in oil and yuzu tea. 4. Add in sieved flour and salt and whisk till no trace of flour found. 5. Spoon out 3 tsp batter to 2 bowls, add a drop of red or yellow food colouring to each of the two bowls and mix well. *I used PME natural red and yellow food colourings. 6. Meringue: Beat the egg whites with ¼ tsp cream of tartar till firm peaks form or just to the point of reaching stiff peak, mixing in caster sugar in 2 additions. 7. Transfer out approximately 6 tbsp meringue into red and yellow egg yolk batter, leaving the rest for the plain yuzu batter. 8. Gently fold meringue into respective egg yolk batters 1/3 at a time. 9. Spoon a teaspoon of red batter into Koi mold, gently spread randomly, followed by the yellow batter. *You can also omit the yellow batter, using only red. 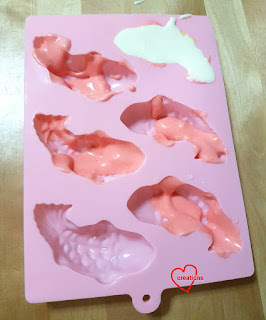 I got my Koi fish molds from here. Metal molds can also be used or preferred. 10. Fill the rest of the Koi mold with plain yuzu batter, gently tap to remove air bubbles. 11. Bake at 150°C for 10 min, at 140°C for 10-15 min, or until skewer inserted into centre of cake comes out clean. 12. Allow to cool completely on wire rack. 13. Gently unmould by hand by pulling cake from sides before flipping over. For picture tutorials of unmoulding from various molds, you can refer to Deco Chiffon Cakes. 14. Draw on the eyes using melted chocolate, or from cake cut-outs or ready-made ‘eyeballs’ candy (stick on with melted marshmallow). 15. Further use a fruit knife to deepen the grooves or cuts on the body by going over the lines. 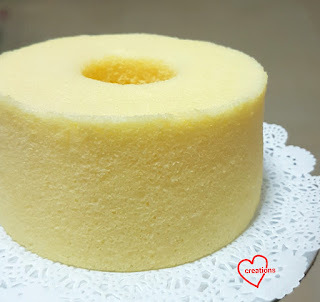 The base cake uses the same Yuzu chiffon recipe for a 6-inch (15-cm) tube pan. Very soft and yummy! 2. Preheat oven to 160°C. 5. Meringue: Beat the egg whites with ¼ tsp cream of tartar till firm peaks form or just to the point of reaching stiff peak, mixing in caster sugar in 2 additions. 8. Bake at 160°C for 15 min, at 140°C for 20+ min, or until skewer inserted into centre of cake comes out clean. 10. Gently unmould by hand (see video tutorial). 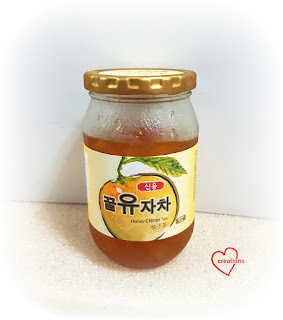 Using half of the recipe above (i.e. 1 egg yolk, 1.5 egg whites, with added red natural/gel coloring). Bake the batter on an 8-inch square pan lined with baking pan at 160°C for 15 min. Roll up while still warm to prevent cracking. After the cake has cooled completely, unroll the sheet cake, cut into 1-inch by 1-inch squares and roll up the mini swissrolls. Assemble the mini swissrolls into a firecracker. I used string candy for the centre ‘rope’. From baking orange chiffon in cake pop molds, shared in Deco Chiffon Cakes book (my 2nd chiffon book) as part of the ‘吉' chiffon cake. Leaves and calynx are cut from sheet cakes. The chiffon ‘Koi fishes’ and ‘firecrackers’ swissrolls are versatile as cupcakes gifts like the agar agar or as décor on cakes. In their original versions, they were meant as cupcakes! But here’s how I used them to decorate cakes as gifts. Hope you will like these new ideas! 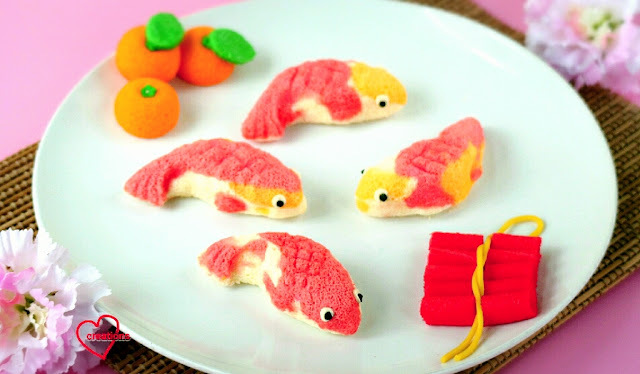 Wishing everyone 年年有余 (鱼)！A reason why Koi fishes are so popular during Chinese new year! 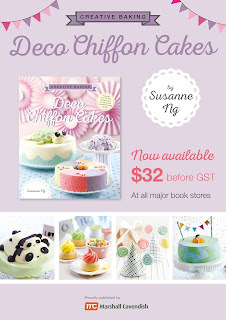 Some good news to share: Deco Chiffon Cakes, Creative baking: Chiffon Cakes, Macarons and other cookbooks having a festive discount (20% discount and up) at Popular bookstores! You are fabulously talented!! Highly admired you and totally inspired! Thanks for your kind words! I'm very encouraged and humbled.